Venice is the land of fur babies and the Steve Martin Smith Team is filled with dog lovers. That makes it even more exciting for us to be part of the Coldwell Banker family. Watch the video below to get a glimpse into the heart for dog rescue that Coldwell Banker has. We love to help dogs find a new home for themselves and their humans. 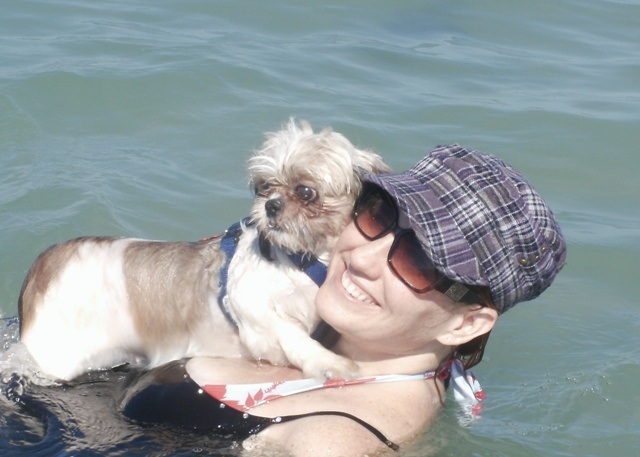 The above photo shows Katrina and Biskit in the Gulf Of Mexico at Venice Florida's dog beach. and exercise off-leash in a controlled environment under the supervision of their owner. It's called Brohard Beach Paw Park. It's located just south of Sharky's On The Pier and Finns Restaurants.